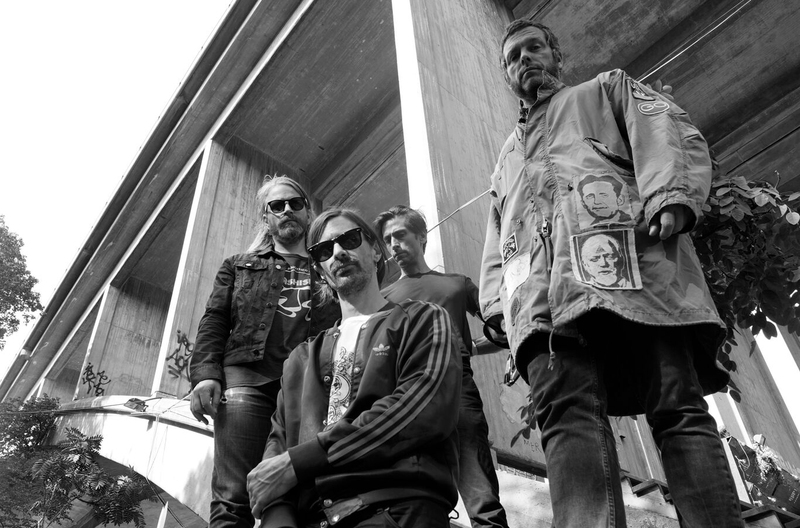 Sweden's Les Big Byrd have a slim catalogue, but every single song is worth exploring. The band's debut album made a real mark, allowing them to tour across Europe and even play Austin Psych Fest. Kicking off work on a follow up LP last year, the band went back into the studio, emboldened by the reaction to their work. Sessions were enormously productive, with Les Big Byrd surging into fresh territory, exploring new ideas in the process. New album 'Iran Iraq IKEA' drops on October 12th - pre-order your copy HERE - and we're able to share new song 'I Fucked Up I Was A Child'. Luminous psychedelic scenes, the driving, kinetic energy of the song is pit against the personal nature of the lyrics, talking about regret, and how to move forward.